Samsung Pay has launched in India with support from Visa, Mastercard, American Express, Axis Bank, HDFC Bank, ICICI Bank, SBI Cards and Standard Chartered Bank, with Citibank India support expected “shortly”. The service has also integrated India’s leading mobile wallet Paytm and comes with support for peer-to-peer (P2P) money transfers through the Indian government’s Unified Payments Interface (UPI) platform. With the launch in India — which follows an early access program in the country earlier this month — Samsung Pay is now fully available in 12 global markets, including South Korea, the US, China, Spain, Singapore, Australia, Puerto Rico, Brazil, Russia, Thailand and Malaysia. “This rapid expansion has been made possible by Samsung’s commitment to an open model of partnership and collaboration around the world, resulting in collaboration with about 500 global bank partners as of November 2016,” Samsung says. “Samsung Pay has rapidly expanded both the variety and availability of value-added services in multiple markets worldwide, adding support for various non-banking cards including gift card, membership, transportation and ATM to consumers — consumers have been particularly enthusiastic in their response to these services, registering nearly 11m related cards since their introduction,” Samsung continues. “With its ‘Make for India’ initiative, Samsung is committed to building tailored products and services, customised to meet the needs of Indian consumers. Samsung Pay provides a mobile payment option built natively on UPI, a payment system launched by the National Payments Corporation of India. “The Samsung Pay UPI solution is powered by Axis Bank and facilitates peer-to-peer (P2P) transfer of funds between bank accounts on a mobile platform instantly. This is an upcoming feature within Samsung Pay. 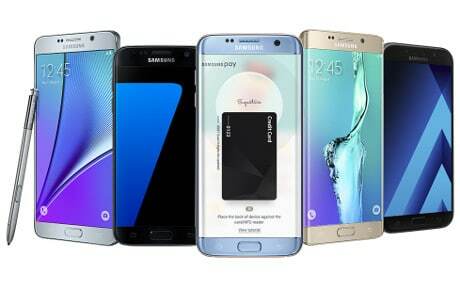 Samsung Pay Mini, the pared-down version of Samsung Pay unveiled in February 2017, is also expected to be rolled out in India, expanding the service’s availability to non-premium smartphones in the country. “When we launched Samsung Pay, our goal was to enable consumers across the globe to make payments that are simple, secure and accepted almost everywhere,” adds Thomas Ko, vice president and global general manager of Samsung Pay. “Our insights show that convenience, security and acceptance are seen by consumers as the most important influencers when choosing among different digital payment options,” says Asim Warsi, senior vice president of mobile business and Samsung India. Samsung Pay launches in India amidst a series of incentives laid out by the Government of India aimed at encouraging consumers and businesses to adopt mobile payments and significantly reduce the use of cash in the country following demonetisation in November 2016. Mahindra Comviva’s Srinivas Nidugondi provides an in-depth insight into the current state of the Indian payments market in a contribution to NFC World’s ‘What’s New in Payments’ report. You can download the full report here.